Ray Craggs' yard is not renowned for winning newcomers, but Amouri Gleam got off the mark at the first time of asking, to provide one of the shocks of the day. Dam was a winner here in the past, but nothing to go off prior to the race. Was written off by all before her, including At The Races presenter Matt Chapman - who even said she should be 'an million to one shot'. Having been slowly away and well off the pace in the last pair, she ran on really well to lead inside the final furlong and won going away, from the odds on favourite Point Zero. 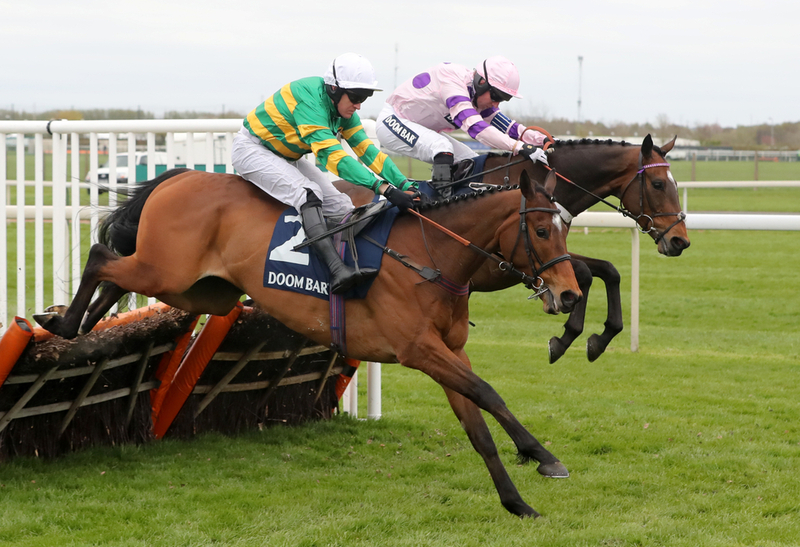 Fabianski proved her hurdling debut was no shock, by backing up her Wetherby win with a similar display in the Support The Injured Jockeys Fund Juvenile Hurdle at Catterick this afternoon. She created a good impression on her first start for Rebecca Menzies when bolting up by 17 lengths, and was unchallenged yet again, winning by a slightly reduced margin of nine lengths with Conor O'Farrell once again aboard. The 3yo took a keen hold, but virtually led the whole way, and although making a mistake 2 out, was clear at the last and won easily again. The Willie Mullins-trained Relegate avoided trouble this afternoon to win her first race over hurdles - the Clinton Higgins Chartered Accountants Mares Maiden Hurdle. Last season's Champion Bumper winner was badly hampered on her debut over timber, but found a clearer passage this time around with Ruby Walsh in the saddle. She tracked the leaders in 3rd, before going 2nd at halfway. The 5yo mare improved to dispute the lead when making a mistake 2 out, and after being ridden, led inside final furlong, where she stayed on well under pressure close home.